What tool can I use to to rip DVD movies? I have used "Dr. DivX" long back. Is there any better tool to rip DVDs? Depends on how many features you need, and how proficient you are in doing things. Personally I prefer simple, so I always use Fair Use Wizard (freeware). I use DVDDecrypter to rip, and AutoGK to do the actual encoding. It's a two-step process, but I haven't found a simple encoder that supports removing CSS, so you'll always have to rip encrypted DVD's. 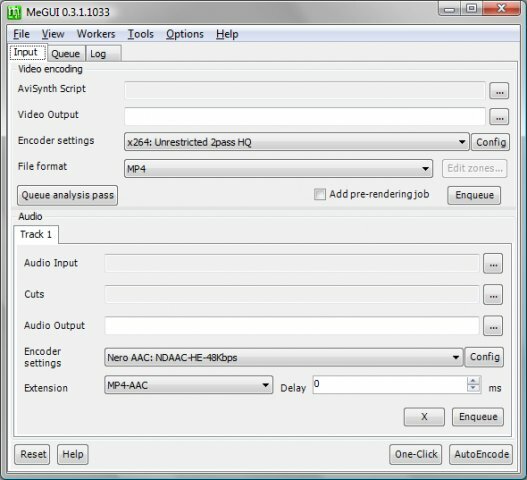 AutoGK is a single screen app where you set the source and the output, sound options and optionally subtitle options, then you add the job to a queue. Start the queue and out pops your DivX or XVid AVI file a little bit later. http://www.videohelp.com/ has a ton of great information regarding computer video and encoding. 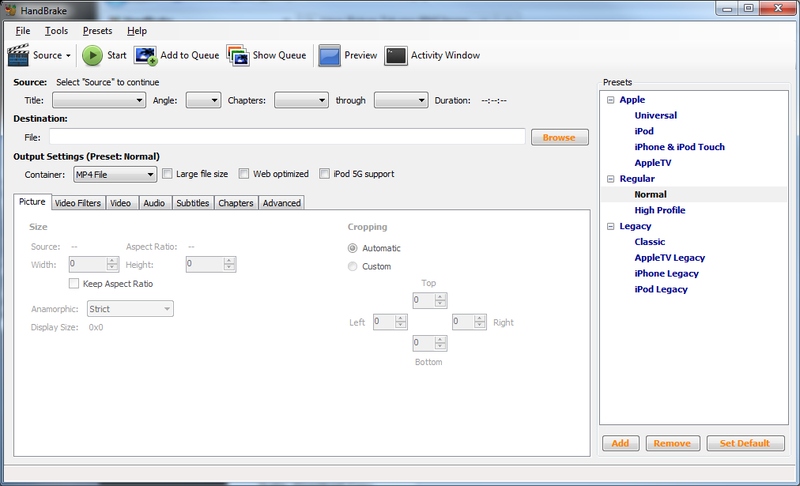 VidCoder is a new UI for HandBrake in Windows. It calls into the HandBrake libraries directly rather than wrapping the command line interface, so it's a bit cleaner and has more features. The whole interface and preset system has been overhauled and streamlined as well. PS +million for Handbrake. Just encoded an iPhone video - super fast, good file size and good quality. I use SlySoft CloneDVD Mobile. Commercial, but it works every time, and you don't need to read a tutorial. This has profiles for almost any device (iPhone, BlackBerry, AppleTV H264, Zune, Nokia, Sony Ericson, PSP, PlayStation), but you can also create standard DivX i the resolution you like. It sopports 3 passes (takes a long time!). And it is easy to select subtitle, audio. Zoom, Quality/Size etc. Not the easiest one but easy enough and powerful. Not the answer you're looking for? Browse other questions tagged dvd video-conversion ripping video-encoding or ask your own question. What are some DVD Unprotecting software? Several movies to DVD at decent quality? How can I burn many movies to a video DVD?